1) With brighter days and longer evenings, you could be excused for reaching for a nicely chilled bottle of something or other after a hard day’s work. So if you pour yourself a glass of wine, don’t forget that Essex can boast the very crème de la crème when it comes to English wines. New Hall Vineyard, at Purleigh near Chelmsford, is not just one of the largest but also one of the oldest. Celebrating an amazing 50 years, more than 800 vines were first planted in 1969 and cost an unbelievable 23p each. Today, the New Hall Vineyard produces 350,000 bottles of award-winning English wines and hosts a variety of tours and tasting sessions. 2) In the spring of 1915, Southend was hit with an air raid when a Zeppelin dropped 100 bombs on the town, killing one woman. This was one of the very first air raids and emotions were high, sadly resulting in violence against several local German businesses. 3) Paglesham is one of the oldest fishing villages in Essex and as such, boasts a rich history as a smuggling capital. Nestled in the north east area of Rochford, the pretty village was home to Hard Apple, an infamous smuggler who secretly doubled as the local constable! Certainly the smuggling stories abound in Paglesham. 4) During World War II many strategically located seaside towns and ports were commandeered by the navy for training or general activities. Southend was one such seaside town and adopted a secret persona as HMS Westcliff. Southend even once hosted Lord Mountbatten in 1943 as he secretly visited the area. Southend had become a naval camp which 3,000 individuals called home and Mountbatten was present to examine the new base. 5) Have you heard of the Colchester Earthquake? The earthquake struck in the April of 1884 and it was one of the worst to hit Britain for many centuries. Despite damaging buildings and destroying settlements, miraculously only a handful of deaths were reported. 6) Essex boasts many distinctions, but being home to unusual signs is perhaps one of the most quirky. 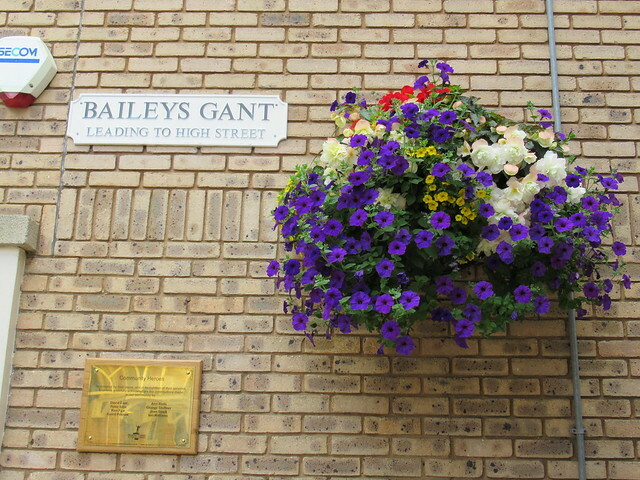 Several alleys in Braintree have the word ‘gant’ in their titles and amazingly no other area in Britain has this unusual phraseology. The word is of Flemish origin meaning corridor, likely adopted in Braintree when weaving was a major industry. 7) Did you know that Essex is home to the first ever wine tower in the entirety of Europe? Located at London Stansted Airport in the Radisson Blu Hotel, the wine tower is exactly that, a tower of wine bottles, numbering into their thousands. Guests to the restaurant can chose their bottle and if it is not within reaching distant, members of staff are lifted to the heights above in order to grasp the selected wine. How appropriate for an airport! 8) Did you know that the great novelist Charles Dickens was an admirer of the Essex town of Chigwell? Not only did the pretty Essex town briefly feature in Dickens’ Barnaby Rudge but when writing to his close friend and later biographer, John Forster, the author stated that the town was, ‘the greatest place in the world’. Dickens was especially fond of the inn which he described as ‘delicious’. The world acclaimed author also wrote that Chigwell had, ‘such beautiful forest scenery. Such an out of the way rural place’. 9) Essex is home to one of the oldest ice cream makers in the UK. Rossi Ice Cream has been selling Italian recipe ice cream since 1932. The business began life in Southend and has been delighting generations of Essex children, parents and grandchildren beside the seaside, and beyond, for nearly 90 years. Today it is enjoyed internationally. 10) Hyde Hall is one of the county’s greatest gems. Under the care of the RHS, the public display gardens not only showcase a fine selection of plants, flowers and trees but also hold the distinction of being one of only four such gardens. The Hyde Hall Gardens were created in 1955 and today the estate is constantly evolving throughout its 360 acres.